Well, naturally I told her to come to The Writing Bomb for details. But I also typed the following reply with my phone… talk about an auto-correct nightmare! Anyway, I realized that if one person asks a question than there are probably dozens more with the same quandary. "Why is it better for newer authors to stay with KDP select?" The reason is simple. 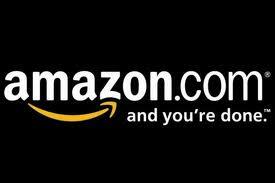 No one knows who you are, and no other online book retailer will help promote you like Amazon... hands down. Take any first time indie or small press author, drop their book into all online ebook stores and they will all sink to the bottom unless that author continues to write book after book, and promote heavily, and still may not sell much. Most new authors continue to promote heavily, trying to force their dream of mass sales and book signings, waiting, hoping for the magic to happen, and it rarely does. Why? Because no one knows who you are! Not you personally, but the rhetorical you, the unknown author, the first timer who isn't famous, who doesn't have 50,000 twitter fans, a platinum album, or staring in a sitcom. Amazon knows this, and so in order to create a marketplace where their author's are committed to them for the long haul, they created a system (that was already in place and effective) and offered it as an "on-demand" promotional tool for author's who publish exclusively with Amazon (KDP) -- a reward if you will. The reward is on demand promotion (1-5 days to sell your book(s) for free, renewable every 90 days) that can be targeted and controlled. It's the perfect answer to the unknown author. The author can give away thousands of copies (15,000+ is a good free promo result, and my average for my novels, a drop in the bucket in terms of millions of kindle readers). 1. 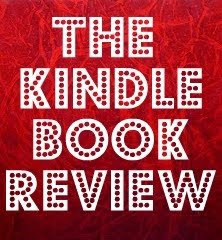 Readership Explosion: With KDP Select, a new author can grow a following at a rate never before possible, and will garner far more reviews than with sales that trickle in under normal circumstances. How is this possible? Visibility, my friend… visibility in the free store. Heck, I even sell more print copies during a freebie promo. 2. Consistent Sales Bump: Amazon treats free downloads like sales, thereby placing the author's book cover across their site in places like the "customers who bought this also bought" section below other books purchased by those who downloaded the free book, and often in the same genre. The residual promotion that Amazon provides is of course relative to the number of books downloaded during the free promotion. Here's the trick (well, one of them): Do this enough times and you start to target your audience because your book is consistently landing in your pre-selected category lists in the free store. Then, when you get the visibility from being in a category list, your sales can grow organically within days of returning to the "paid" store. Example: Twisted Vengeance garnered 18,427 downloads in my Sept. 2012 freebie promo. I scheduled the promo for 3 days, but kept it going one more day because I was #5 in the free store for 2 days straight and didn't want to stop the momentum. Two days later, Twisted was ranked #800 something in the paid store, selling very well. I raised my price back to $2.99 and made a few bucks. Now, what just happened besides giving away 18,000 books? 1. Audience Growth: I gained a lot more readers from that promotion, as reflected in my post freebie reviews, and Facebook likes that came in after the promo. Not everyone who downloaded the book will read it, or like it for that matter, and that's okay. But you can be sure, there is a greater probability that I will gain a higher number of fans with 18K downloads than with 500 organic purchases. 2. Additional Sales Lift: The wheels that started spinning during my free promo continued after the "sale". NOTE: Free books don't add as much weight in Amazon's algorithms as a paid book (hence hitting #5 in free store vs. #800 in the paid), but that's okay, too. Amazon rewards sales with visibility. So if you continue to promote with KDP Select every 90 days, getting that regular sales bump, and adjusting your price with the ebb and flow of your ranking (99¢ when your sales are down, and $2.99 or more when sales are up), your sales should continue to grow -- even more so if you continue to publish additional books. Why? Because every bump throws your book on more book pages, and then you fade, but then you bump up. Long term (1 year for me), it is working like a healthy looking Stock Market graph… slowly rising with dips and spikes, but consistently increasing sales. KDP Select gives you free promotion from the largest book retailer in the world! And the results improve with every new book. Why? Because not only can I lift my ranking using price decreases as an incentive (promotional tool), but I can also promote with targeted free days with multiple titles. That gives me two methods of attracting readers with every 90-day cycle. So if you have 2 books, that's 4 free promotional tools. If you have 3 books, that's 6 free promotional opportunities, and so on. Like I always say, "books sell books". Unfortunately, many freshman Author's think their book will sell on the merit of quality. Sometimes that happens with luck, but rarely. There are over a million kindle books now. A million! Geesh! Do you see the advantage of hitting the top #20 or #100 in the free store? Thanks to KDP Select, I have sat above, beside, and directly under Stephen King and Koontz. But get this, I am a nobody in terms of the world wide publishing industry. The name Jeff Bennington means very little to the vast majority of readers, and yet my "free book" promotions have placed my name and book covers in places I never thought possible. This program can market a relatively unknown like a big name author. With KDP Select, I beat out Heather Graham (Big time author in ghost category) often, because my promotions with KDP Select help boost me up there with the big boys and girls. This program can truly be the great equalizer for new authors, even if you only have one amazing book. And no other platform, with the exception of Kobo is doing anything like this. Amazon has so many promotional tools to help market authors, it isn't funny! Take a look at some of these marketing tools they use: Bestsellers List, Hot New Release list, Movers and Shakers, Top Rated lists, Gift Idea lists, Top-100 Category lists, Tags, "If you like" lists, "So you want to" lists, and Top Rated Author List (New: I'm currently #44 in Horror). The truth is… if you have 10 titles it's easier for readers to find you. And an author with that many books has probably grown his or her platform over the course of time anyway. But when you only have one or two titles, like most authors out there, KDP Select is the only program that can accelerate the long, time draining process of finding your readers. Other sites list your book(s) for sale, but when you partner with the biggest book retailer in the world, and they are willing to help you find your audience, and sell your books, you get a much higher return, relative to what the other stores can do for you. And like all programs, there are a variety of variables that can impact one's success (cover art, reviews, product description, sample, book length, etc). And of course, there is always the exception, and a time for an author to pull out when they have outgrown the program. But in general, after one year with Select, I'm still very excited about KDP Select's power to promote. 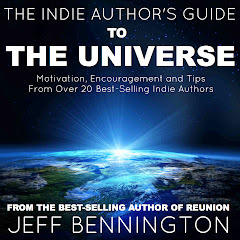 By the way… REUNION is free Oct 28 - 30th during my little "Halloween Haunted Giveaway"
Jeff Bennington (@TweetTheBook) is the best-selling author of Reunion, Twisted Vengeance, Creepy, and Creepy 2, and The Indie Author's Guide to the Universe. Creepy 3 is coming soon! 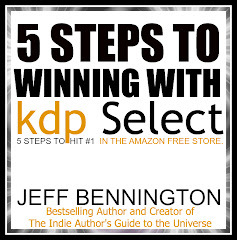 KDP Select is VERY effective if you make the first book in a series free. I used it to publicise the 'A Vested Interest' series and got eight times the number of sales for the other books as I had in the previous two years! I'm not convinced of it's effectiveness for a new author with a single book though. In theory you stand a better chance of getting reviews but that's still a very low chance. After a year with Select I moved all but one book out of the program - that one being a stand alone but linked paranormal romance. Instead of Select I used Smashwords and made the first book in the series free there. Smashwords distributes to other sales outlets so it became free on Nook, Kobo and iBooks. It took several months for Amazon.com to catch on and 'price match' but now our first book in the series is free on Amazon.com all the time. For the last month it's been listed every day in the top 10 free technothrillers. The result is our sales are steadily climbing for the other books. Our book is NOT free in Amazon.co.uk though and sales there, which far outshone Amazon.com sales when I used Select, are very low. It seems Amazon.co.uk won't price match unless people who have bought the book return it and use the 'tell us about a lower price' link. Hi John. That may be true for some, but I think the program works for growing an audience and for increasing sales for all of my books. With 5 titles now, I have even more opportunities to grow my audience and sell more books with each promotion because inevitably, a free book draws readers to my other books and print versions as well. 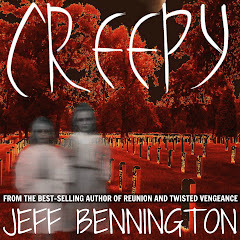 I do not run my first book in the Creepy series for free indefinitely. Why should I? It is one of my best sellers. Targeting your free promotional days works much better, and allows you to get payed on the other 85 days of your 90-day commitment. But hey, this is only my opinion. Thanks for visiting, and your comment. What a great series, Jeff! I have a much better grasp of how to do it right. I do agree that too become known a writer must write more than one or two books that are good stories and edited. I've read a few series where the fist book has a good plot and story, but the error were too numerous to count. It's that frist book that holds reads so it must be professional. Jeff: Very valuable. Thanks a lot. danniehill: too become? fist book? the error were? that frist book? that holds reads? As usual a great follow up post to an excellent first post. Great job. BTW when do we get to see the iPhone autocorrect version of your reply? Thanks, Anthony. But no, you will never see that. Love this series Jeff. I'm a big fan of KDP Select too, but all too often encounter unconvinced authors not understanding the bigger picture of what it can do for them. You hit the nail on the head! 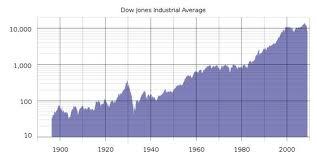 I enjoyed your articles on KDP Select and can personally attest to the effectiveness of the KDP Select program. I currently have both of my Dakota Stevens mystery titles, A REAL PIECE OF WORK and THE RICH ARE DIFFERENT, in the program, and with modest self-promotion I'm consistently selling an average of about 100 copies per month (between both titles) with another 50 or so borrows. Obviously, one of the reasons for the sales is the fact that both books are highly rated, but I'm convinced that KDP Select is also helping. Reached #1 in Literary Fiction (free) and #5 in Mystery (free). In Top 100 of all books (can't remember exact number). I can't remember what ranking the book achieved during the post-promotion sales days, but it was high, I remember that. * Make sure you register your promotion with the various boards of free Kindle books ahead of time. * Be strategic about what day(s) you run your promotion (generally you want to end before the weekend, which is prime-time for sales). * Tweet, FB and blog about your giveaway on the day(s) it's running. * Help others with their promotions. The last thing that I'll say in support of KDP Select, and the free promotions in particular, is that it increases your review count considerably. Before my first free promotion of A REAL PIECE OF WORK, the book was highly rated, but had only ~25 reviews. Compare that to 9 months later, when I ran the second promotion, and the book had 125 reviews. If you've written a good book, a number of those readers who get the book for free will turn around and write positive reviews. Overall, I think KDP Select is excellent for the author trying to build an audience, but when that author has several titles under his/her belt and a growing audience, it might be time to open up to other sales platforms/distributors (e.g., Smashwords). If anyone has any further questions about KDP Select and the results of my promotions, feel free to contact me by email. My email address is on my blog, under the "About Chris Orcutt" page. I hope what I've written here has been of service to some people. Thanks, Chris. Glad to see I'm not just blowing smoke.... but one of the key things to remember is that a GREAT book will do much better, and you have written GREAT books. Congrats all the way around. Thank you Jeff for your information and time.Marketing is a minefield for the first time author.Thanks again.